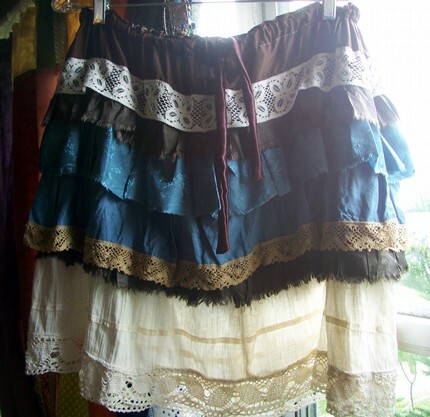 Aren't these cute skirts? 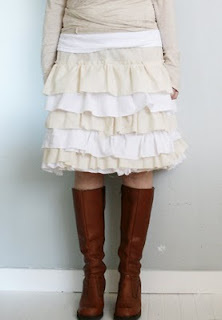 I love the randomness of the ruffles. Find the tutorial for this skirt HERE. The ones below don't have tutorials. But you can buy them in THIS etsy shop. 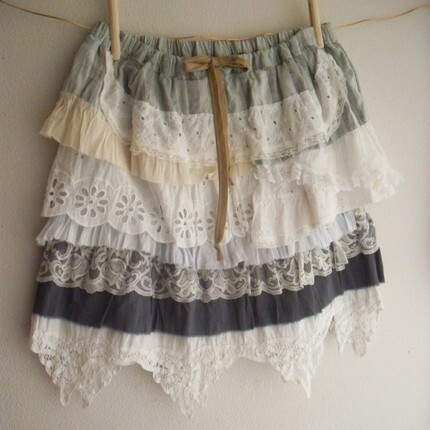 These skirts are darling. How are you doing? We miss you. When do you get to move into your beautiful new house. So we have ours for sale, it it sells then we will build over by Gailey Park. They ended up lowering their prices by 20 thousand, I guess everyone else was saying they were too high too. But wow, people sure love giving me there opinions of what we should do, it's driving me crazy. I think I'm getting a little of what you guys went through when you were moving.